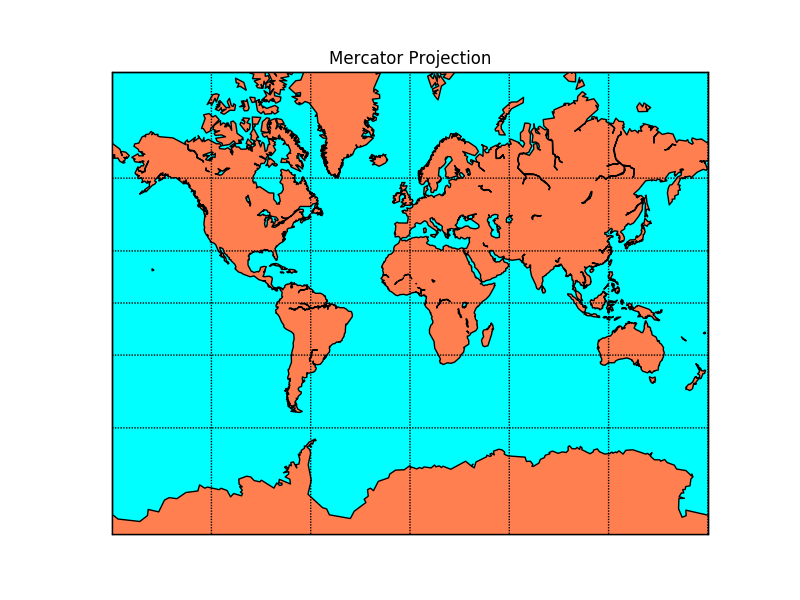 A cylindrical, conformal projection. Very large distortion at high latitudes, cannot fully reach the polar regions. # lat_ts is the latitude of true scale.